How do I inform my employees about a new schedule? 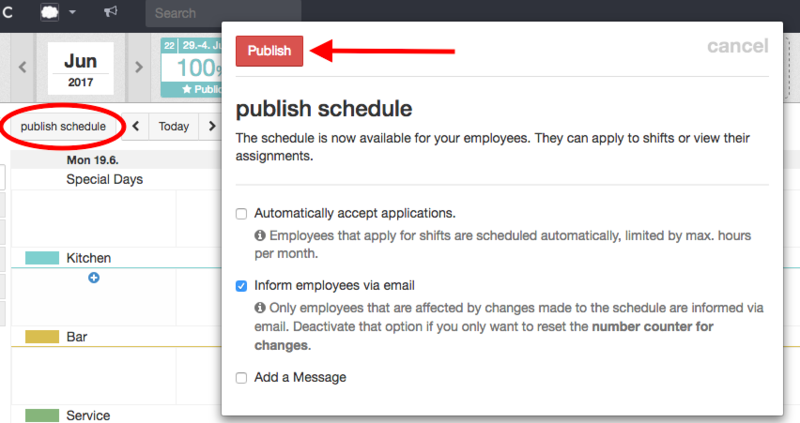 As soon as you have finished planning anew weekly schedule you can give your employees access to it by clicking the button 'Publish schedule'. They will be informed by email and can now apply for shifts. Therefore it makes sense to only publish the schedule when it is definitely ready. Otherwise you will have to reschedule shifts that are already staffed.